I have been doing some testing for a client domain upgrade and Exchange migration. I upgraded my Windows Server 2008 R2 (2003 functional level) to new Windows Server 2012 R2 Domain Controllers, I have post written that documents this process. Once I completed the upgrade when I launched the Exchange Management Console I recieved the following error Domain Company.pri cannot be contacted or does not exist. It was running command 'get-recipient -ResultSize '1000' -SortBy 'DisplayName' -RecipientType 'UserMailbox'. The specified Domain either does not exist or could not be contacted. I knew the upgrade had completed successfully as I did a number of replication and domain health checks. As part of the upgrade I had forgot to change the Primary DNS Server, when I did nslookup on the Exchange server it cannot resolve a DNS server which was in fact one of the old DC's. Since I have demoted and decommissioned the legacy DC's I need to reconfigure the static DNS settings for my servers. 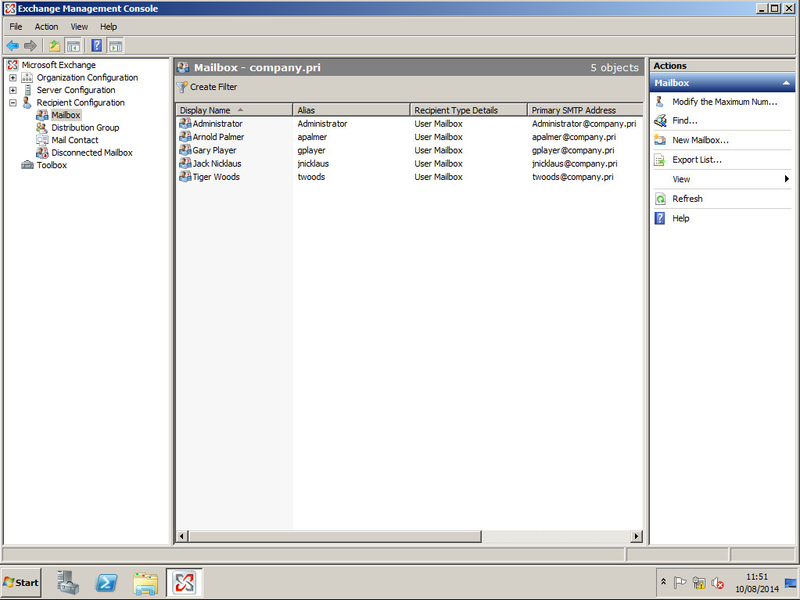 Configure DNS on each of the server to point towards the new Domain Controllers. Run nslookup again and it will not resolve one of the new DC's. 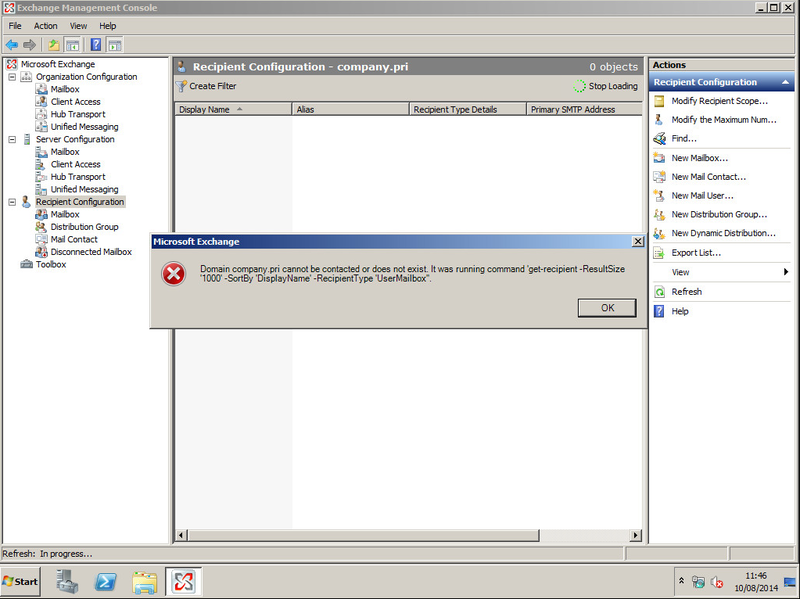 Launch the Exchange Management Console and the error is gone! It's a pretty simple fix and careless mistake! But that's what testings for. Your clients will most probably be addressed with DHCP, you would also have to change the DNS Server options in your DNS scopes to point towards the new servers.